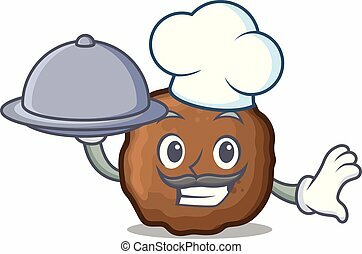 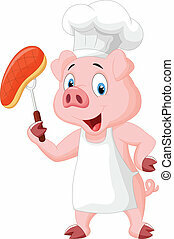 Cartoon chef with roasted meat - isolated illustration. 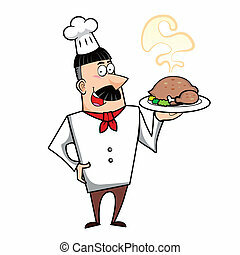 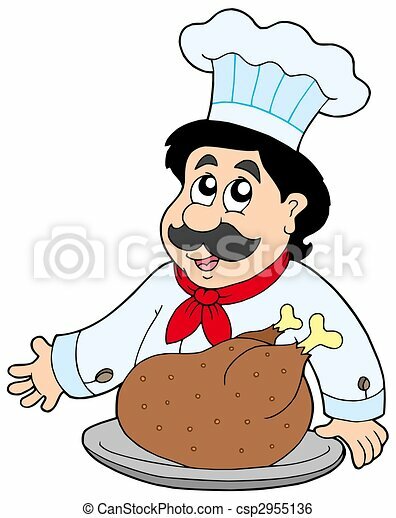 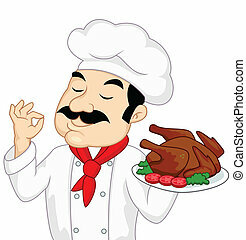 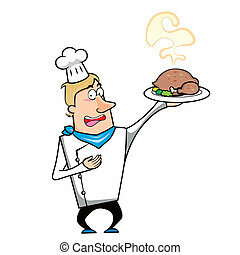 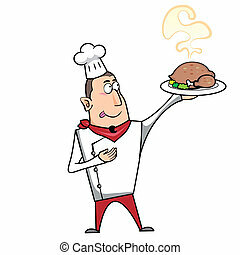 Cartoon chef with roast turkey vector illustration. 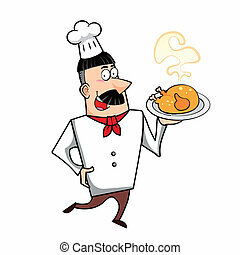 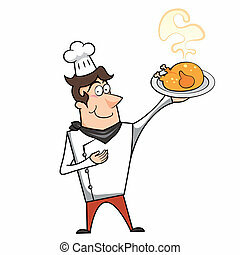 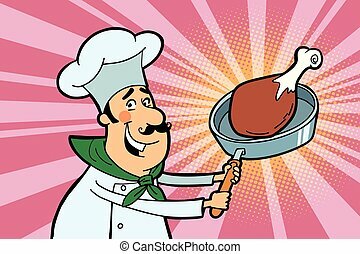 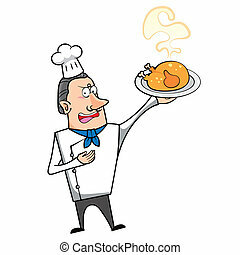 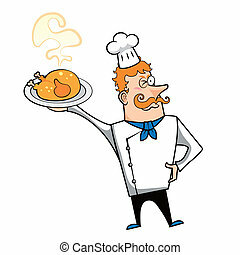 Cartoon chef with roast chicken vector illustration. 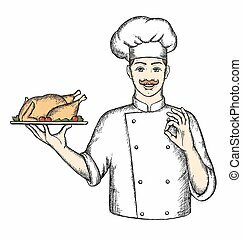 Chef with Turkey, the hand drawing, vector illustration. 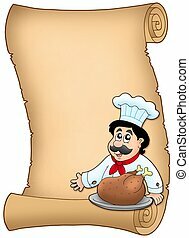 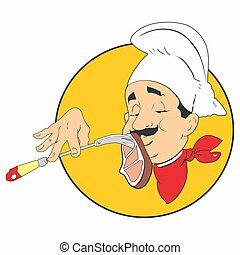 Scroll with chef with roasted meat - color illustration. 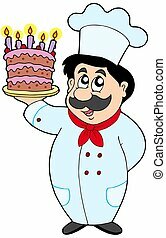 Cartoon chef with cake - isolated illustration. 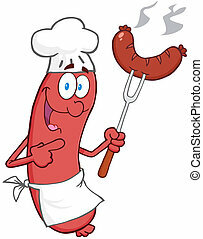 Banner with cartoon chef - color illustration. 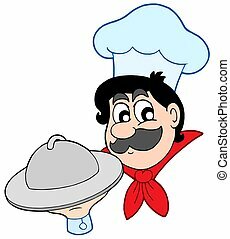 Cartoon chef with dish - isolated illustration. 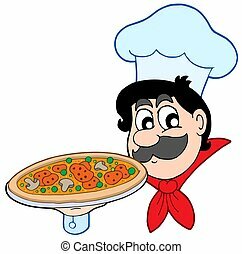 Cartoon chef with pizza - isolated illustration. 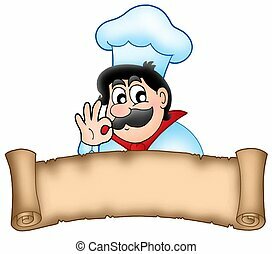 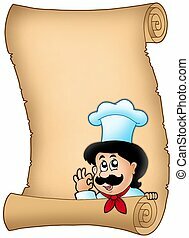 Parchment with lurking cartoon chef - color illustration. 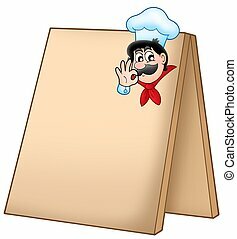 Wooden blackboard with cartoon chef - color illustration. 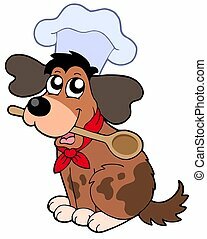 Cartoon dog chef with spoon - isolated illustration. 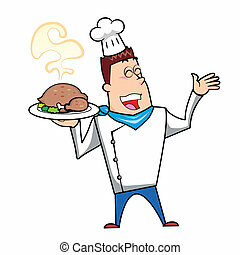 Cartoon chef logo with banner - color illustration. 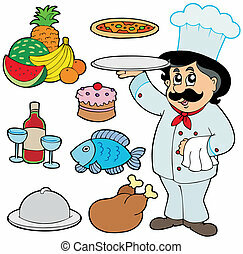 Menu board with cartoon chef - color illustration. 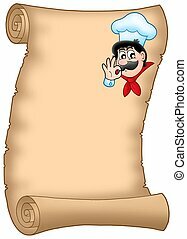 Menu parchment with cartoon chef - color illustration. 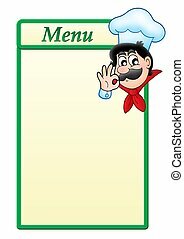 Menu template with cartoon chef - color illustration. 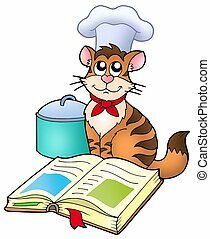 Cartoon cat chef with recipe book - color illustration. 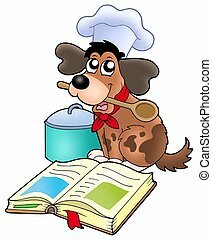 Cartoon dog chef with recipe book - color illustration.